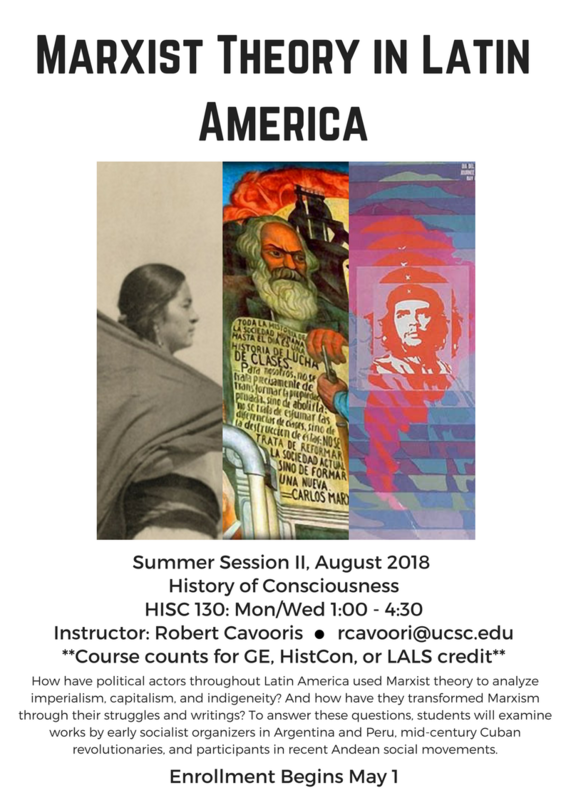 How have political actors throughout Latin America used Marxist theory to analyze imperialism, capitalism, and indigeneity? And how have they transformed Marxism through their struggles and writings? To answer these questions, students will examine works by early socialist organizers in Argentina and Peru, mid-century Cuban revolutionaries, and participants in recent Andean social movements.